Born and raised in Northern California, Alex Blitstein's dance career began after 12 years of competitive gymnastics training. Alex moved to San Diego to attend college where he earned his Bachelor of Fine Arts degree in Dance and Science from San Diego State University. While in college Alex traveled as a master teacher and choreographer, was a collegiate level springboard diver and coached collegiate level gymnastics, all on top of being in a professional dance company. Alex's mix of talent and ambition sparked his multi-faceted career. Alex works for 24 Seven Dance Convention , where he is a teacher and convention manager working alongside world renowned dance educators and choreographers such as Sonya Tayeh, Lauren Adams, tWithch, Jessica Hendricks, Brooke Pierotti, Danny Wallace, Francisco Gella, Anthony Russo and Peter Chu. Alex was most recently on set filming the finale episode of Glee's 4th season as a principal dancer alongside American Idol's Jessica Sanchez. Before booking Glee, Alex was in Tokyo, Japan for 7 weeks. He was chosen to accompany a world famous hip-hop and house choreographer to go and personally train some of Japan's most famous and talented boy band groups and solo artists/idols, focusing on technical, artistic and acrobatic development. It was an experience of a lifetime. Other credits include dancing for Jennifer Lopez in her music video "Papi" and dancing in her Fiat commercial. As well as being featured as a principal dancer on the Disney Channel hit show So Random, FOX networks Mobbed and dancing in industrials for Estée Lauder, Adidias, Genetech and Flash Mob America. 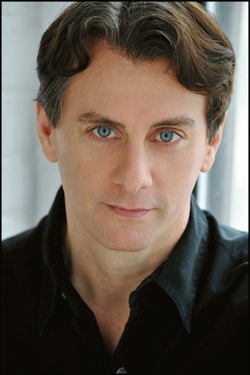 He also performed with Mental Head Circus directed by renowned aeiral and dance artist Terry Beeman. Alex has been lucky enough to travel around the country teaching, Judgeing for and setting award- winning choreography at various studios, workshops and conventions. He has worked at the World Arena Olympic training center in Colorado Spring where he taught off-ice "movement development" classes for US figure skaters. Aside from the commercial and competitive dance industry, Alex has been a guest artist and choreographer at countless top universities across the United States as well as multiple professional contemporary companies. He just got back from Chicago where he was a guest faculty member at the prestigious "American College Dance Festival" in Chicago, where 30 top universities attended. Alex goes beyond the physical aspect of dance traning in his classes, teaching body language class and audition etiquette, performance skills and a multitude of important skills that will assist dancers as they embark on their careers in the dance industry.